Usually when you hear the terms “Toxic Black Mold” the mold being referred to is Stachybotrys. 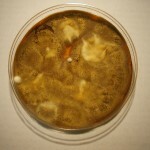 However, what people may not know is that there are a lot of different types of mold that appear black in color. As expected Black Mold Symptoms vary for each mold type. For this blog post we are limiting our discussion to Chaetomium . 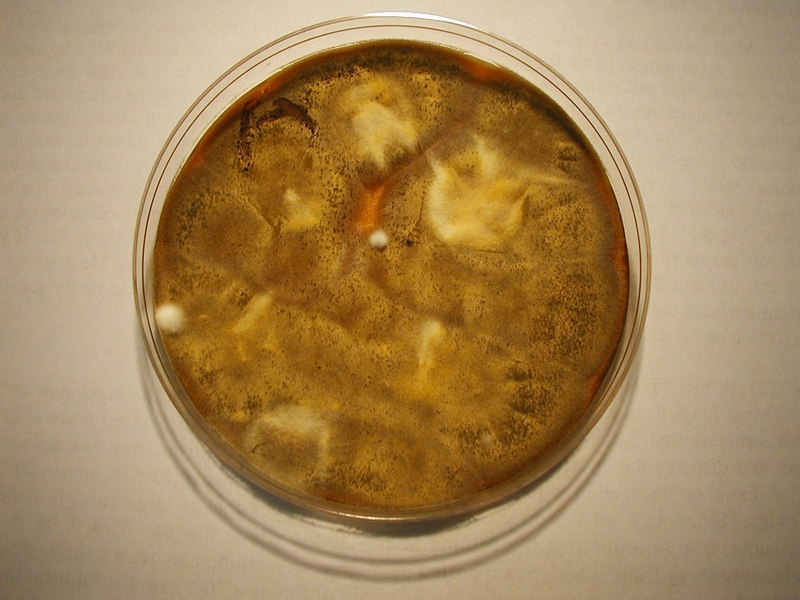 Chaetomium is a demataceous mold, meaning its spore is darkly pigmented, with roughly 80 known reported species. 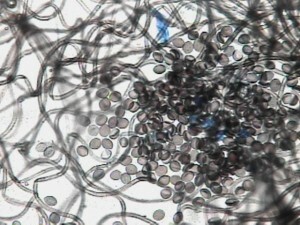 One species is Chaetomium globosum, and is frequently found in water damaged builings. Thriving under the same environmental conditions that Stachybotrys does, both types are routinely discovered growing in the same location. “Chaetomium globosum grows on damp cellulosic materials indoors and can adversely affect human health through allergic and toxic reactions. 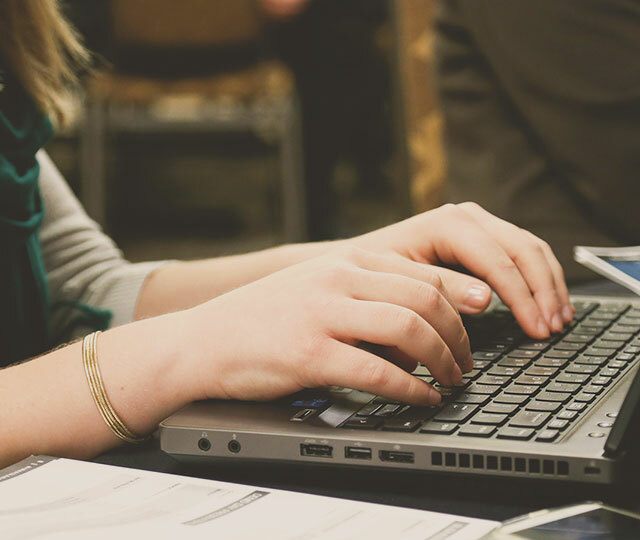 To study allergic response, exposure assessments must be done by measuring human allergens or antigens. The goal of this research was to identify C. globosum proteins that are antigenic to humans” (4). to read complete paper or order a copy please see resource link (4) below. Black Mold such as Chaetomium is easily identified by a direct examination under the microscope. If you discover house mold in your apartment or home and want to find out what type you are up against, you can get a sample tested for only $35. Watch this short video for step by step instructions DIY mold testing video .